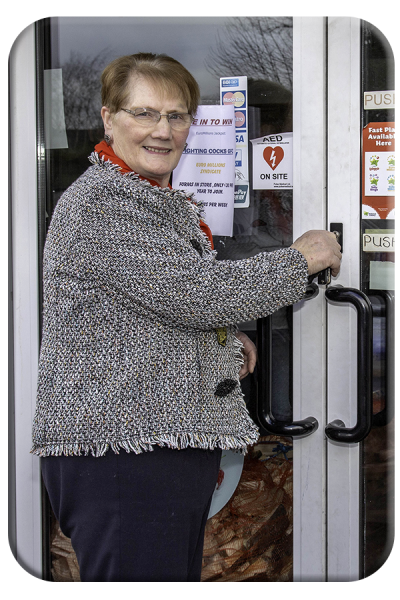 It was the end of an era and another blow for rural Ireland when postmistress, Anne O’Connor, turned the key in the door of Rathoe Post Office for the final time on Friday 25 January. It ended over 100 years of postal services in the village. 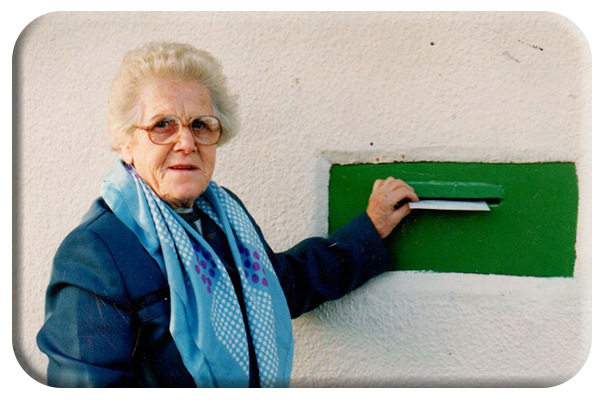 It was first run by Ned Connors, then by his daughter Anne Egan who passed it on to her daughter Josie who remained postmistress until her retirement in 1994. The first threat of closure came at that time but a successful bid by Ann O’Connor prevented the service from being removed to Tullow. 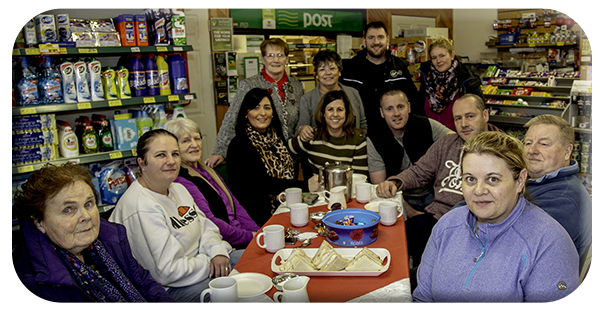 Rathoe PO opened in its new location on 14 November 1994 and under Anne served the community well for the next 25 years. Anne’s pleasant manner and her willingness to help people in filling forms, passport applications and various other services made it a pleasure to do business in the Post Office which was fully computerised in 2006. 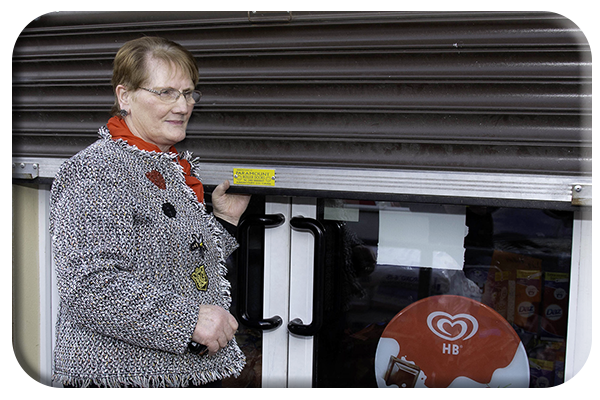 Anne was originally due to retire in early December but remained on so that pensions and payments to her loyal customers would not be disrupted over the busy Christmas period. It was a sad day on Friday although Anne had little time to feel emotional as friends, neighbours, family and customers popped in to wish her well in her retirement and to do their last bit of business in Rathoe PO. Throughout the day the O’Connor family treated all callers to light refreshments while in return Anne was showered with presentations of flowers and gifts by the local people in appreciation for her 25 years of service to the village and surrounding areas. 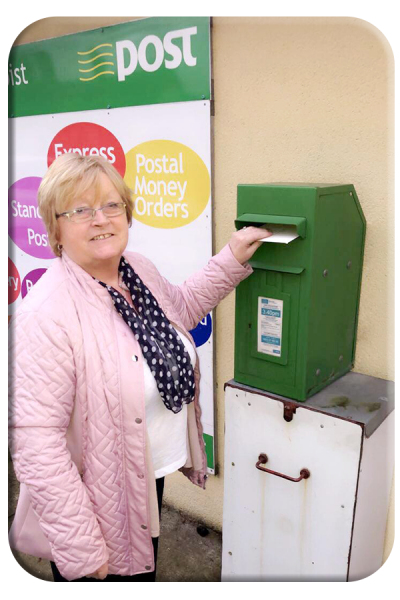 Anne’s last customer was Patricia Nolan, Rathrush and in a bizarre coincident her late mother-in-law, Betty Nolan, was the first person to post a letter in the newly located PO back in 1994. 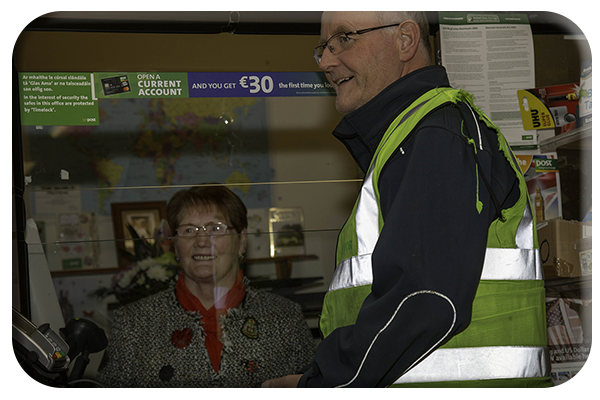 Area manager Pat Crimmin from Portlaoise made a presentation to the retiring postmistress while her son, Finbarr, speaking on behalf of the family, thanked all the loyal customers for their support throughout the years. There were a few tears shed as Anne finally pulled down the shutters at 5.30pm for the final time. The O’Connor shop will, of course, remain open and will have some services like phone credit, bill-pay, stamps and gift cards available and of course the postbox will still be located there. 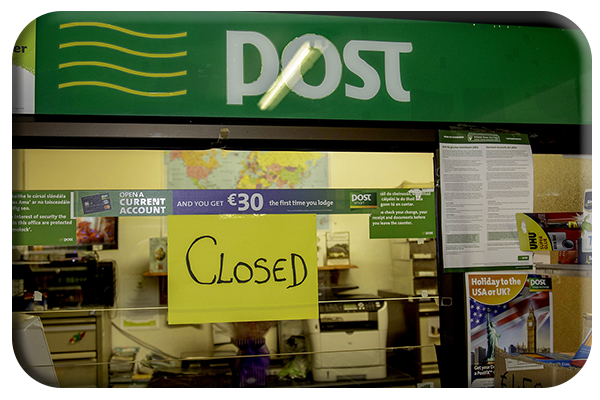 The closure of Rathoe PO came as part of a deal reached between An Post and the Irish Postmasters’ Union in areas with less than 500 people which has seen some 160 rural offices close. The parish of Ballon and Rathoe is currently without a Post Office as the plans to reopen Ballon announced back in October last year have not yet been implemented.